The hall commemorates those who served in World War One. 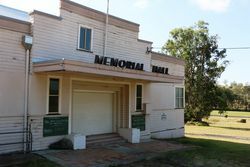 Originally a public hall, money was subscribed by returned soldiers to dedicate the hall as a Memorial Hall. 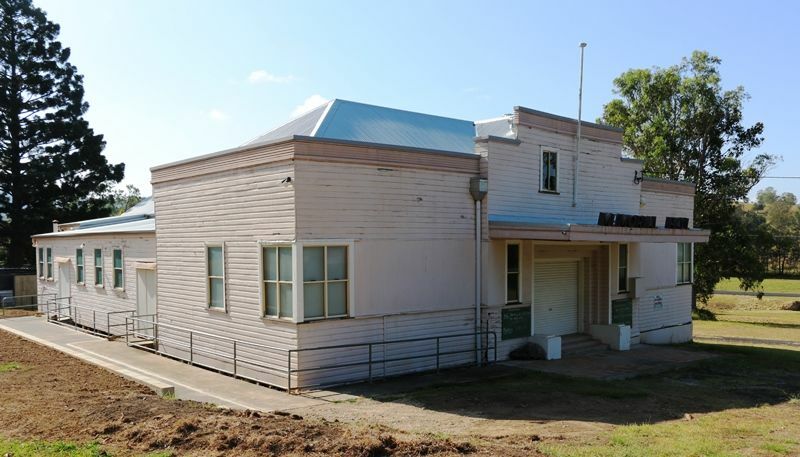 Additional rooms were added to the original hall and a function was held to celebrate the dedication on the 2nd July 1920. Friday evening was a gala night at Mallanganee. The returned soldiers of this flourishing township over the Range were accorded a most successful welcome home. Diggers came from Mummulgum, Bonalbo, Tabulam, Drake and Casino, and there were fully 80 returned men present. The ceremony took place in what is now known as "the Soldiers' Memorial Hall." The people of Mallanganee some years ago put up the main structure, and when the soldiers returned it occurred to them and the residents that it would be a good idea to extend this hall and to dedicate the whole building to returned soldiers. The attendance on Friday night numbered about 450. Later in the evening Mr. Hewetson in a brief speech called upon Colonel Bruxner to perform the ceremony of declaring the hall open. Colonel Bruxner, who was received with cheers, said that it afforded him the greatest pleasure to be present that night to do honor to the brave lads who had gone away to fight for the Empire. He congratulated the people on their excellent hall. Northern Star (Lismore, NSW), 7 July 1920.